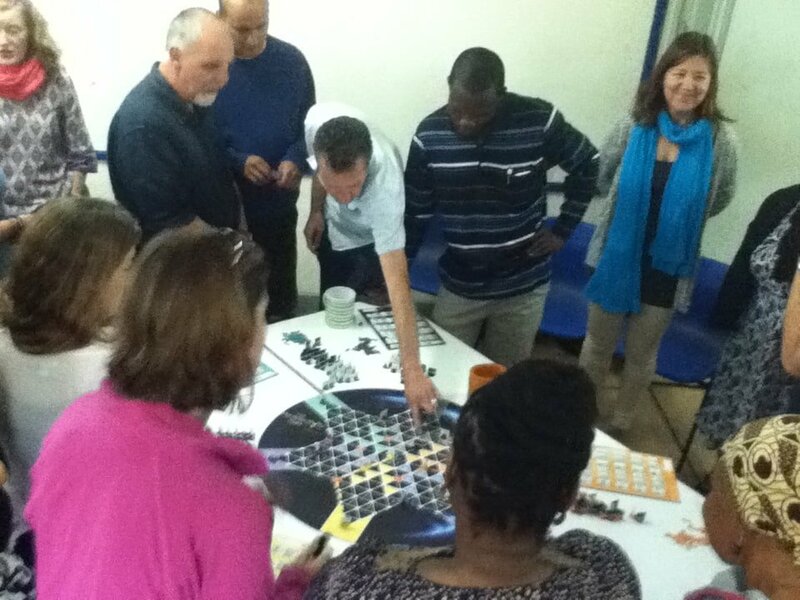 Perspectivity game played with all teachers of the International School Moshi to start the new school year. Established in 1969 to serve the needs of the expatriate and local communities, the school has grown to provide a fully accredited international education for children from age 3 to age 19, offering the International Baccalaureate (IB) Diploma (DP), Middle Years (MYP) and Primary Years (PYP) programmes on both campuses in northern Tanzania. The philosophy on education is that Learning is a life-long process nurtured through an education that is inspirational in nature, holistic in perspective, global in context and responsible in practice. the students are prepared to deal with todays and tomorrow’s complexity. The school is proud to have been the first International Baccalaureate school in Africa when introduced the diploma programme in the 1970s. Before the start of the new school year Perspectivity TZ was asked to facilitate a session in the 2 day of the teachers workshop. There were 30 teachers from all over the world (of which one third new to the school) and the game gave them the opportunity to get to know each other, learn about team work and interdependency when it comes to dealing with complexity and different interests. They really got into it and although some teachers did not like board games or did not grow up with board games, the initial resistance made place for passionate participation. One teacher mentioned that he genuinely started to care about the fate of his world! During the reflection many insights were shared such as, “what a simple board game can tell us about our own behaviour” up to initiatives to work more closely together shaping the programme for some subjects resulting in a more integrated approach of topics such as Life Skills and Theory of Knowledge. Plans are discussed to play the game with senior students in the coming school year.